Every single one took a picture with St. Nick. 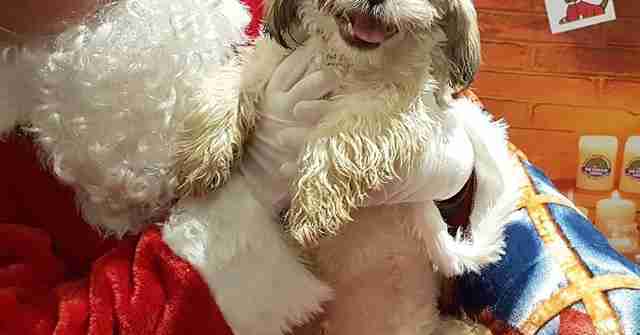 Little kids love going to visit Santa when the holiday season rolls around - and as it turns out, so do dogs. 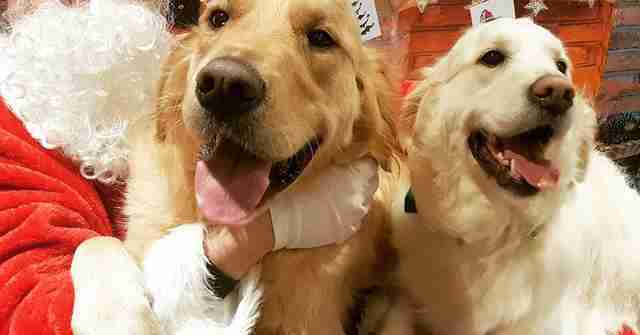 Edel O'Meara and her partner Thomas Malone, owners of The Doggie Lodge, a dog daycare in Wicklow, Ireland, wanted to do something special for the dogs they care for this year. 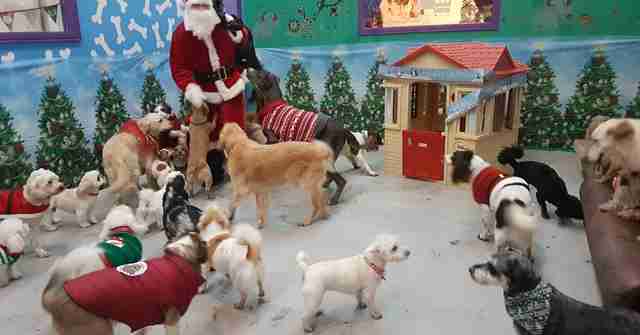 Instead of getting them all individual presents, they decided to get them the ultimate present: a visit from Santa. 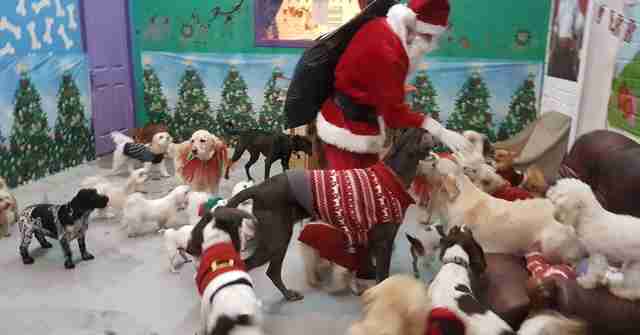 The sneaky Malone dressed up as Santa and surprised the 45 dogs, who were all thrilled to see him, even if some weren't exactly sure what was happening. "They all reacted well to Santa although they were a little confused," O'Meara told The Dodo. ... which, honestly, is the best gift any of us could have asked for. Just look at those faces. 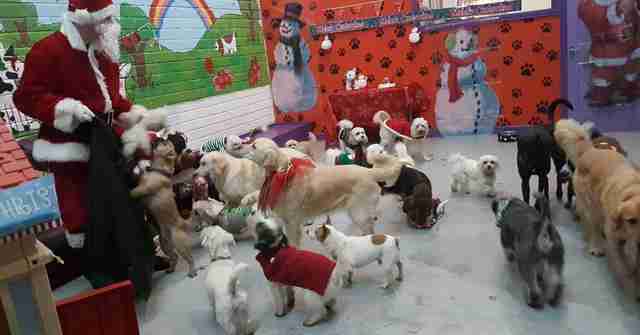 Along with Santa's visit, the lucky dogs got to attend a doggie Christmas party, too, because they've all been such good boys and girls this year. 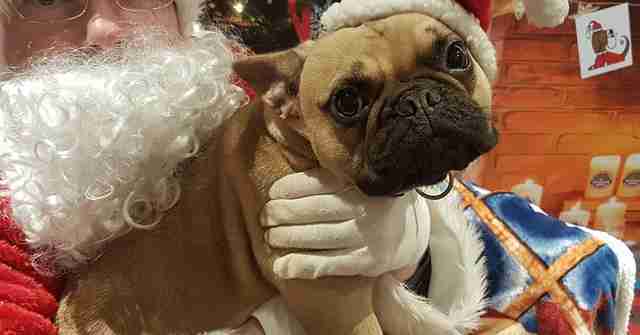 We're sure they're all getting exactly what they want for Christmas this year!